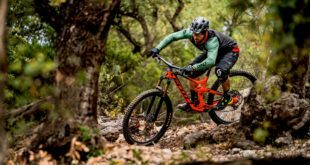 Zyro is to hit the road in October, touring the UK and Ireland to give retailers a chance to familiarise themselves with the labels brought in from the Easton Bell Sports group, as well as to preview Camelbak’s 2014 range. Each event will host brand workshops, giving retailers the opportunity to give their feedback on products and gain in depth knowledge of the new products for 2014. Retailers should register online in order to attend the show and registration will open on 27th August 2013 at www.zyrob2b.co.uk/register.